Gamers patiently waiting for the new Unreal Tournament game to be launched might be interested in this very first glimpse at the development currently ongoing for the next generation and new Unreal Tournament game. 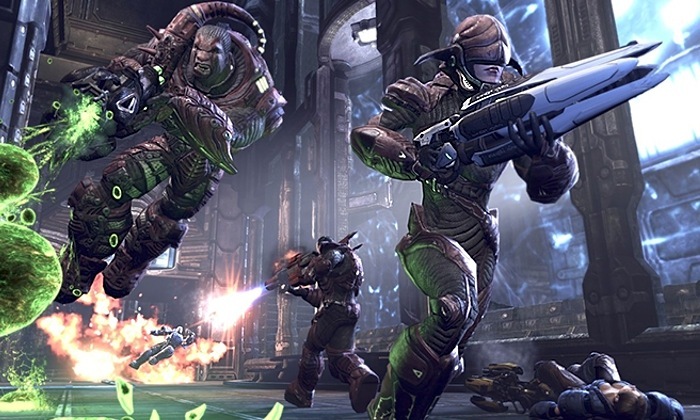 Last month Epic Games confirmed that their new Unreal Tournament game will be free to play and will be developed with the help of players and the Unreal Engine 4 Community. The new Unreal Tournament game is currently under development using the Unreal Engine 4 games engine and when it launches will be available to play on Linux, Mac and PC platforms. If you would like to get involved with the development of the new Unreal Tournament game follow the Epic link below and join the Unreal Engine community who will be heavily involved in the design of the new multiplayer shooter.